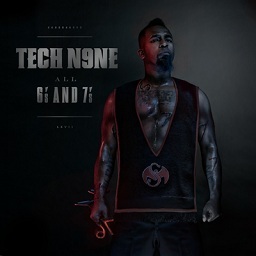 To say that Tech N9ne’s All 6’s And 7’s is heavily anticipated would be an understatement. After shocking the hip hop world with the giant “Worldwide Choppers”, the album has been landing on everyone’s list of most anticipated albums. Complex recently released its list of “20 Most Anticipated Albums Of The Summer”, with All 6’s And 7’s coming in at #20. Joining the likes of Games’ R.E.D. Album, Bad Meets Evil’s Hell: The Sequel, and Lil Wayne’s Tha Carter IV, Tech N9ne is definitely in good company. The summer is about to heat up, and All 6’s And 7’s is sure to bring on the flames.